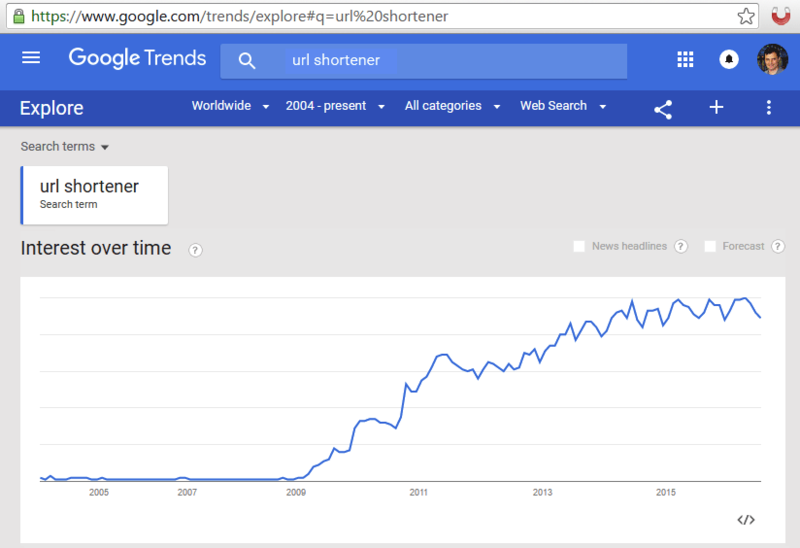 The growth of interest in url shorteners started in 2009 and had a continuous increase in the following years. Google Trends shows the popularity of a search term (how often the search is entered) and it is an indicator of relevance of url shortener services. Brands are increasingly using branded domain url shortener service so they can achieve greater brand recognition in shared links. To view the most up-to-date version of this graph, check the short link http://bit.do/url-shortener-trending, that redirects to the current Google Trends page with this search term.